The two most common causes of renal failure first is diabetes and second is high blood pressure. There are a lot of other diseases that are much less common that can cause renal failure. When somebody develops renal failure their kidneys aren’t doing the job that they need to do; they are not cleansing the blood. And without that cleansing the person will die. Thankfully we have dialysis and dialysis can take the place of a kidney, but it doesn’t do as good a job. So what happens is when someone’s on dialysis for a very long period of time, they tend to get a lot of wear and tear on their body and they can develop heart problems, strokes, high blood pressure, and a lot of other medical problems that are greatly increased by dialysis and that’s where transplantation comes in because transplantation – when you actually give them a kidney – that kidney can do what their old kidneys use to do. It’s a better replacement than dialysis and they are much more likely to live longer and to have a better quality of life. let’s face it, dialysis is really difficult. You have to be hooked up to a machine, usually for three to four hours, three times a week. 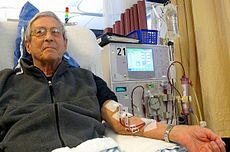 Many people are unable to work when they are on dialysis. A lot of my patients are on disability. There’s a recovery phase for a lot of patients after dialysis that can extend anywhere from a few hours to a day. And it’s not…they can’t travel and there are a lot of limitations on their lives. 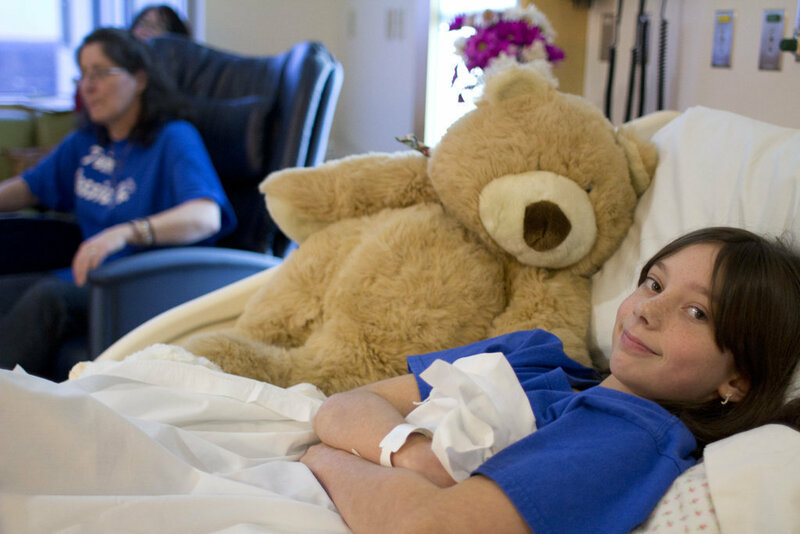 But when they receive a transplant, they have to take some additional medications, but they have a normal life again. And most transplant patients will tell you that they feel normal and that they are able to do all of the things they were able to do before. Transplantation has many advantages. It eliminates the need for dialysis and helps patients enjoy a life filled with more freedom, energy and productivity. Although most patients are on dialysis before first being evaluated for transplantation, patients with end-stage renal disease can be referred for transplantation even before starting dialysis. 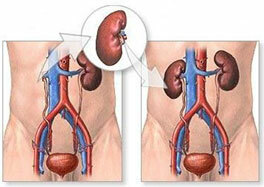 Successful kidney transplantation treats your kidney failure and gives you back your health. 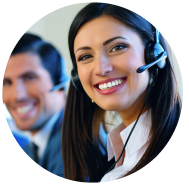 It also provides a better quality of life and is therefore a preferable treatment for many patients. Usually you will have less restrictions on fluid intake and diet after receiving a transplant. Many patients also return to work and lead a full life after transplant. It is hard to measure the quality of life because every person looks at his or her life differently. However many patients who have received a kidney transplant will attest to the positive impact on their lives since they had a transplant.